CES 2015 has witnessed a new tablet known as the Remix ultra-tablet. The new tablet from Jide Technology is said to be a look alike of Microsoft’s series of Surface tablets. A copious number of gadgets launch in the CES every year. It’s not impossible that one device would have similar features like the other. But this phone is surprisingly similar to Surface line up. The tablet has a pop out kickstand and a magnetically-connecting keyboard cover which has an uncanny resemblance to a typical Surface tablet. Not much detail about the hardware is available. Remix ultra tablet will have a 11.6-inch display with 1080p resolution, storage of 2GB of RAM. The device will be equipped with a NVIDIA Tegra Silicon on Chip but the name has not been known yet. Sources say that a bundled OTG Adapter will be provided to increase flexibility to support existing PC accessories as the tablet cannot support full sized USB plugs. Remix Ultra-tablet is a product of JiDe Technology which has been founded by a group of ex Google employees. 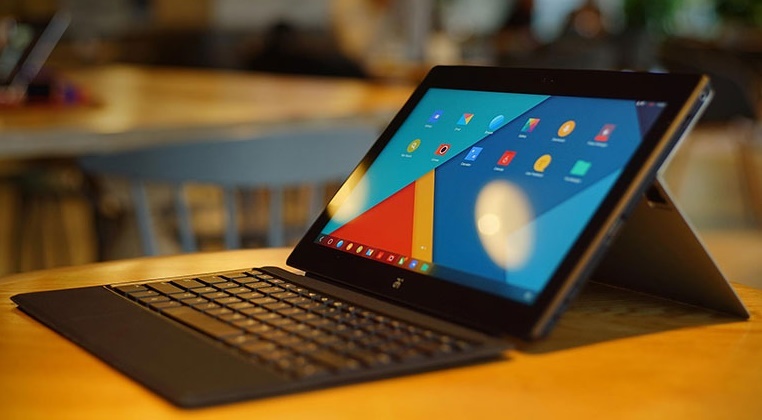 The tablet will be priced around $250 for a 16 GB variant and is expected to roll up by the end of this year. Chrome Magic: Launch A Website As An App!